This weekend saw Springwell RC in action on the road, trail and cross country terrains with members competing in Dungiven, Cookstown and Belfast. 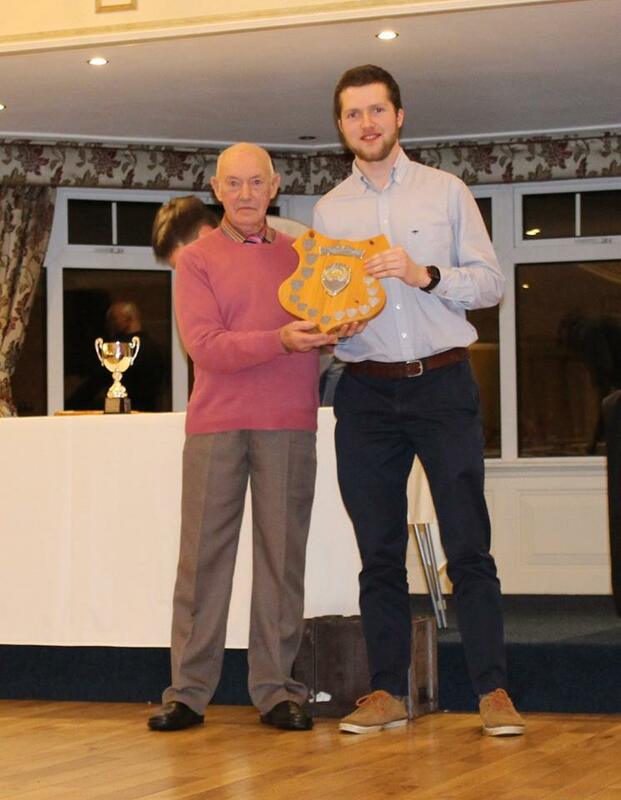 Saturday’s efforts were then followed by an evening of prizes and trophies as the club awards for 2017 were presented. On Saturday 27th January this event, hosted by Athletics NI, was held at the impressive Billy Neill Centre of Excellence for Soccer in Dundonald. The heavy rain throughout January meant that the course, made up of 2k laps was already heavy going and became increasingly slippy as the race programme progressed. The conditions however did nothing to detract from some excellent performances. In the Masters Men’s 8k race it was experiences mountain runner Ian Bailey (Newcastle AC) who took first place in a tightly contested race. 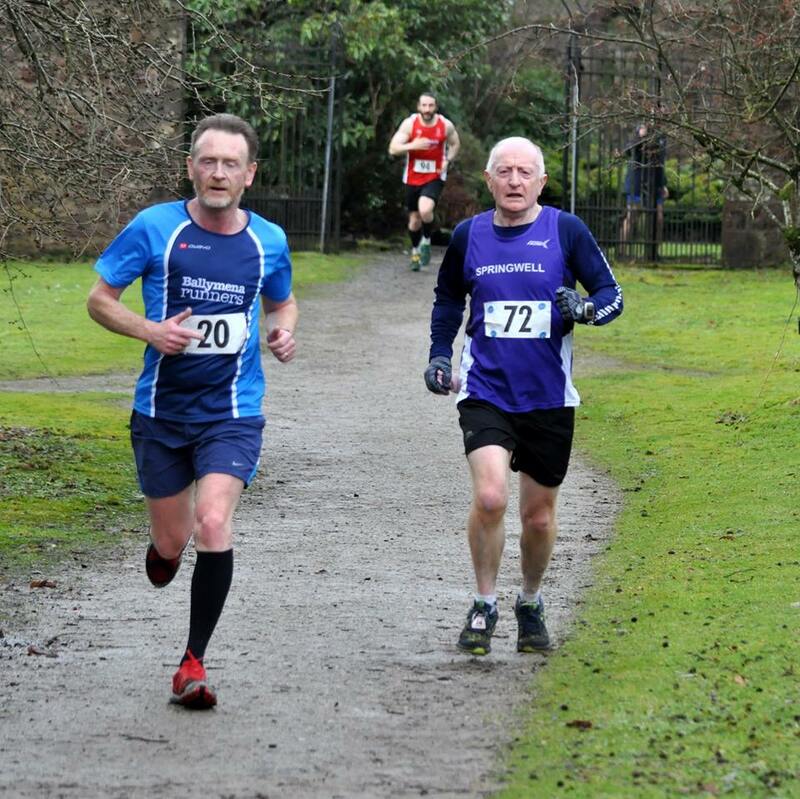 There was little between the lead group until the final lap when Ian and Neil Weir (Willowfield Harriers) broke away from the lead group to battle to the line, with Ian just edging it in 27.42. Neill claimed a well-deserved second place in 27.44, with Dermot McElchar (Finn Valley AC) crossing the line third in 27.59. Running in aid of St Patrick’s College in Dungiven these popular 5 & 10k races were held on Saturday 27th January. Starting at St Patrick’s college competitors had the easy part of the course first, running down the A6 through Dungiven before turning onto the Ballyquinn Road and following the roads around the town for a scenic, if challenging climb back to the college. Springwell RC where well represented at the race and it was junior athlete, Lauren Hazlett who set the standard, winning the junior female category in the 5k event. Lauren finished 11th overall in a time of 21.43. In the 10k event Ciaran Ferris finished third with a time of 37.18 and last year’s winner Kerrie McIlmoyle was second in the ladies race, finishing 17th overall in a time of 44.13. In the ladies Grace Carson (Mid Ulster AC) took victory in an excellent time of 41.58, Gillian Wasson (Ballymena Runners AC) continued her recent good form with second in 43.28, while Helena Quinn (Termoneeny Running Club) completed the podium, taking third place in 44.24. Karen McLaughlin (Springwell RC) finished as 5th lady and won her age category in a time of 45.22 while Jim Breen (Springwell RC) continued his return to fitness with a second place in his age category, finishing 45th in 50.09. Saturday evening saw Springwell Running Club gather at the Bushtown Inn, Coleraine for their annual awards evening. Hosted by Club President Mr Jim Reid MBE the evening celebrates the athletic achievements and contributions that members have made to the club. 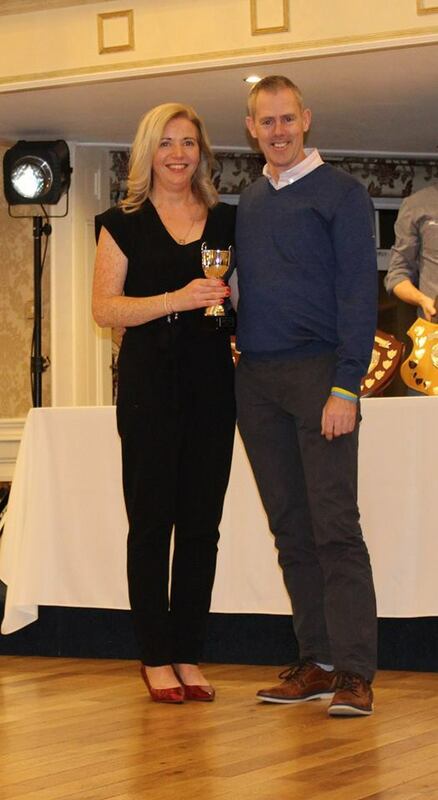 With a year of victories, podium finishes and new club records it was Ciara Toner who won the ladies club championship and the female athlete of the year. In 2017 Ciara recorded victories at the Termoneeny 10k, Wilkies 5 Mile Road Race and the Dessies 10k Road Race as well as a very credible third place in the 2017 Belfast Half Marathon. Amongst numerous other wins and podium finishes she also set new club records for the 10k, 10 mile and half marathon distances as well as earning representative honours when she ran for the Northern Ireland Master F35 team at Gransha Park Cross Country. The male athlete of the year was Neil Johnston. Neil has represented Northern Ireland at several events during 2017, including the prestigious Armagh International Road Races and International Track & Field events at the Mary Peters Track. 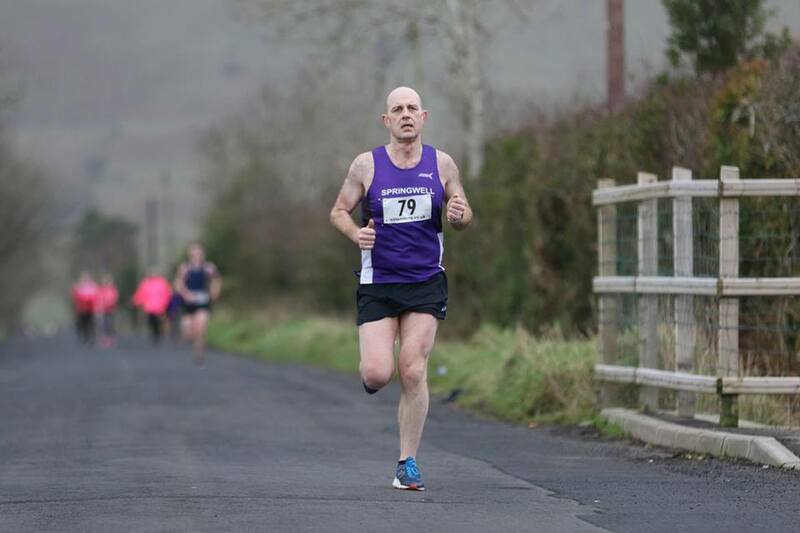 Throughout 2017 Neil has claimed numerous wins and podium places, most recently winning the Comber Cup, Malcolm Cup and the Gransha Cross Country. In 2017 he set new club records for the 5 & 10k and, when winning the Lacpatrick 5 he set a new club record for the 5 mile. 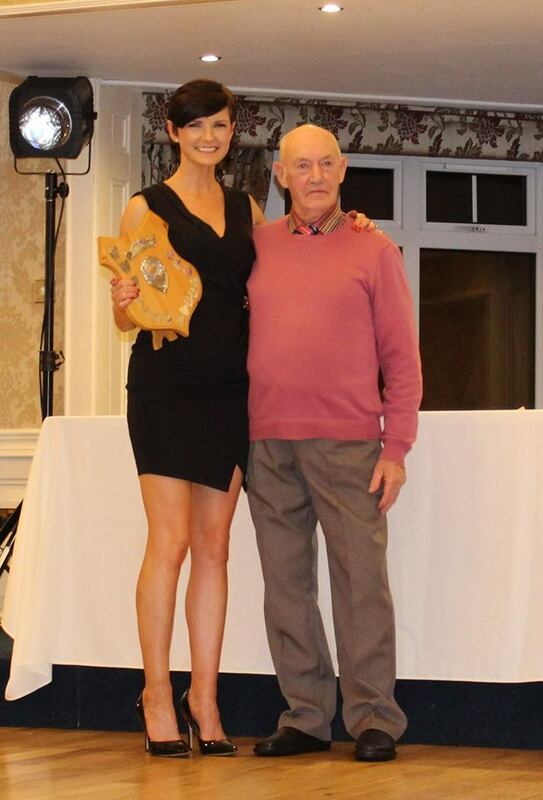 Female Athlete of the Year - Ciara Toner. Eimear Quinn receives her Newcomers award from Gary Kendall – Ross Armstrong presents Fiona Walker with the Rankin Endeavour Shield.